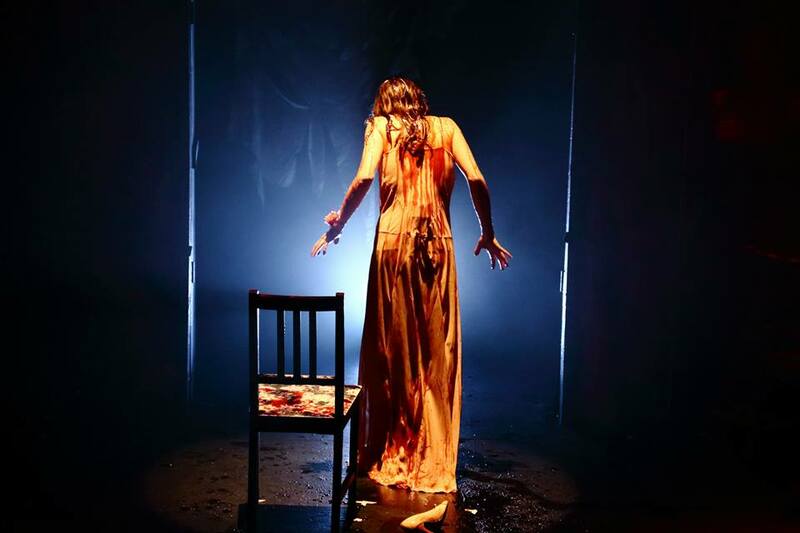 On a humid Sydney afternoon, with crashing thunder that seemed to be created by Carrie herself, Squabbalogic’s Australian premiere season of infamous musical Carrie continued its successful run at Sydney Seymour Centre. 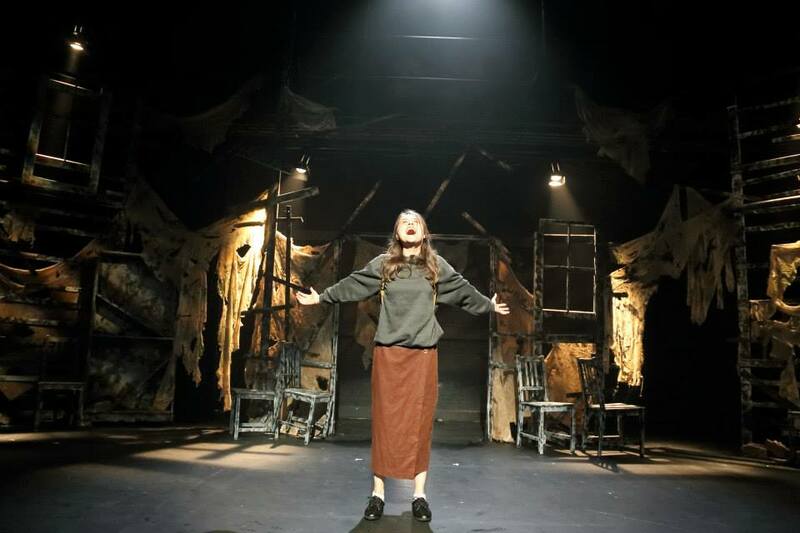 Having seen the 2012 off-Broadway return of Carrie, I felt fairy sure we were in for a theatrical treat, with the rest of audience soon won over by the spooky story and terrific songs performed by an energetic, highly talented young cast. One of the most notorious Broadway flops of all time, it might be presumed that Carrie is one of those so-bad-it’s-good cult classics, but this is far from the case. 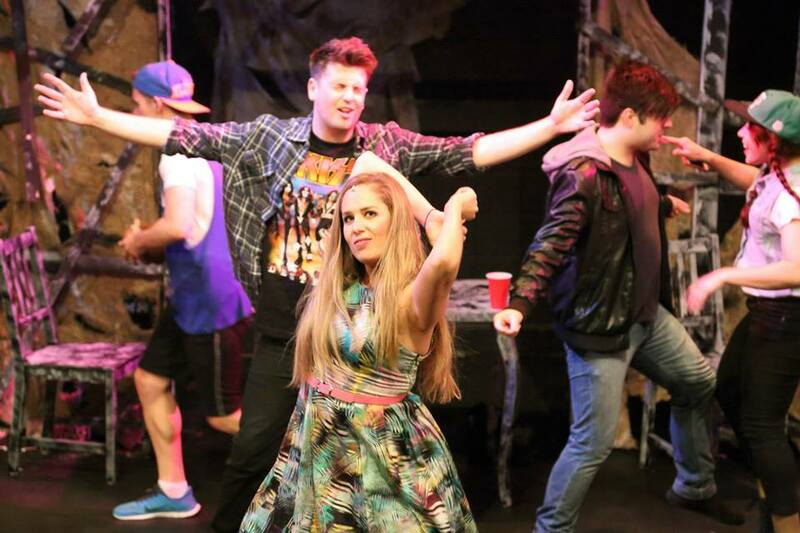 While Broadway may not have been ready for a horror musical with a young cast (and still may not be today), the musical itself features a terrific, instantly catchy score full of heartfelt belted ballads and peppy company numbers. Composer Michael Gore wrote the divine soundtrack for Terms of Endearment, as well as the title song for Fame, with Carrie lyricist Dean Pitchford. Book writer Lawrence D. Cohen also penned the 1976 movie of Carrie. If there is one clunky element in Cohen’s revised book, it is the framing device, which sees continual cuts back to lone survivor Sue Snell as she attempts to describe the horror of that fateful prom night. Given audience familiarity with the blood-soaked ending, and the devastation telegraphed by Sean Minahan’s spooky, tattered set, there really is no need to build tension in such an obvious way. While the prime focus is on the multiple terrors of Carrie’s sheltered, constricted life, the writers cleverly expand this theme to the general fears and woes of all adolescents. The rest of the students may seem collectively like the “cool kids,” but they are shown to have their own fears: about fitting in, passing school, finding dates, and how they look. In “The World According To Chris,” the alpha mean girl sings of how it is “better to strike than get struck, better to screw than get screwed,” and strike she does, just when loner Carrie finally receives some positive attention. Choreographer Shondelle Pratt has developed a vocabulary of deliberately jerky, angular moves, in which the teens dance like they have a whole lot of energy to get out of their system. The energetic company numbers are a swirl of constant motion, with alternating unison and individual moves to complement the multiple vocal lines of the songs. 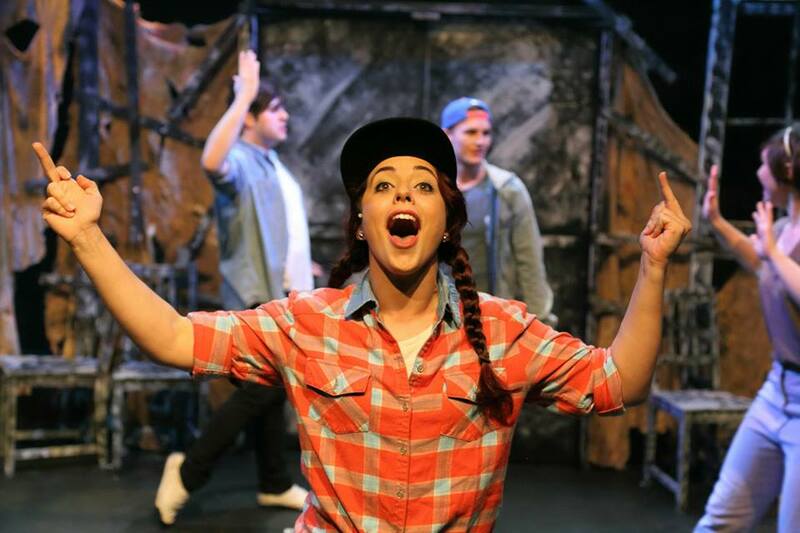 Director Jay James-Moody has clearly put time and thought into developing quirky, entertaining individual characters in the chorus, and these are as fully realised as the arcs for the principal characters. The talented triple threats of the ensemble are: Tim dal Cortivo, Toby Francis, Jaimie Leigh Johnson, Andy Johnston, Monique Sallé, Zach Smith and Maryann Wright. Excellent preparation by musical director Mark Chamberlain has ensured that the chorus and lead vocals sound thrilling, and the eight-piece band also does full justice to the rock-lite score. Sound design by Jessica James-Moody strikes a neat balance between vocals and instruments, a task not to be underestimated in a show like this. Jay James-Moody keeps momentum high, with rapid cinematic cross cuts between scenes, greatly aided by Mikey Rice’s expert, highly atmospheric lighting. Focus and commitment from the cast are high, ensuring that the dramatic action suffers no threat from any traces of camp melodrama. 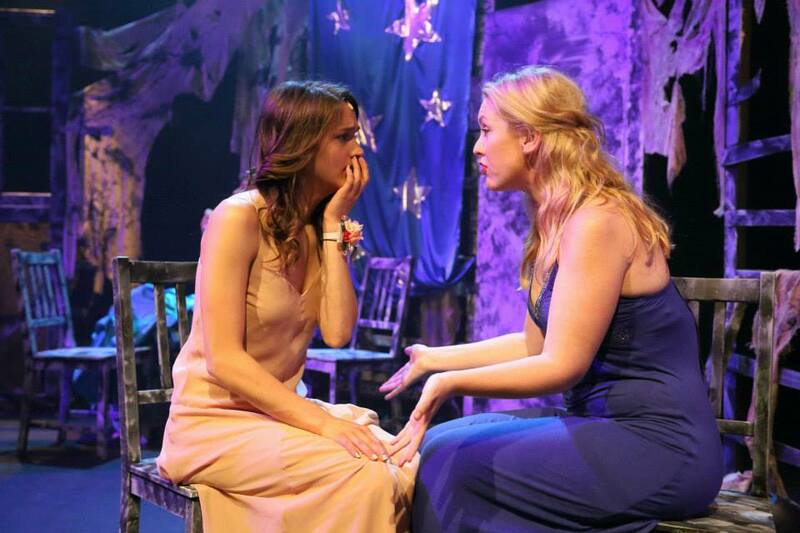 The climactic prom sequence is brilliantly executed, overcoming difficulties faced by 2012 Off-Broadway production, which could not find a way to pour blood on Carrie while she was wearing a microphone [they used red lights (lame! ), then put blood on her when she went off stage before going home to confront her mother]. To have this reviewer, who often thinks he has seen everything, riveted, with mouth wide open, is quite an achievement. Best friends Chris (Prudence Holloway) and Sue (Adèle Parkinson) are nicely contrasted, as Chis gives in to her darkest impulses and Sue develops a kind heart that saves her life. Holloway gives herself over entirely to Chris’ malevolence, convincing us that a girl with everything can still want more. Parkinson is as blonde, gorgeous and wholesome as any US teen drama star, easily engaging our affection as she guides us through the horrific tale. Rob Johnson gives strong support as well meaning jock Tommy Ross, clearly conveying the surprises Tommy finds as he lowers his masculine bluff to befriend Carrie. Bridget Keating gives a warm, appealing performance as kindhearted PE teacher Miss Gardner. Garry Scale brings just the right touch of levity to the role of beleaguered teacher Mr Stephens. The towering performances at the heart of the production come from sensational newcomer Hilary Cole as Carrie and highly experienced Margi de Ferranti as Carrie’s mother Margaret. Stripped of makeup and hairstyling, de Ferranti gives a commanding performance, demonstrating the full range of her singing and acting powers. 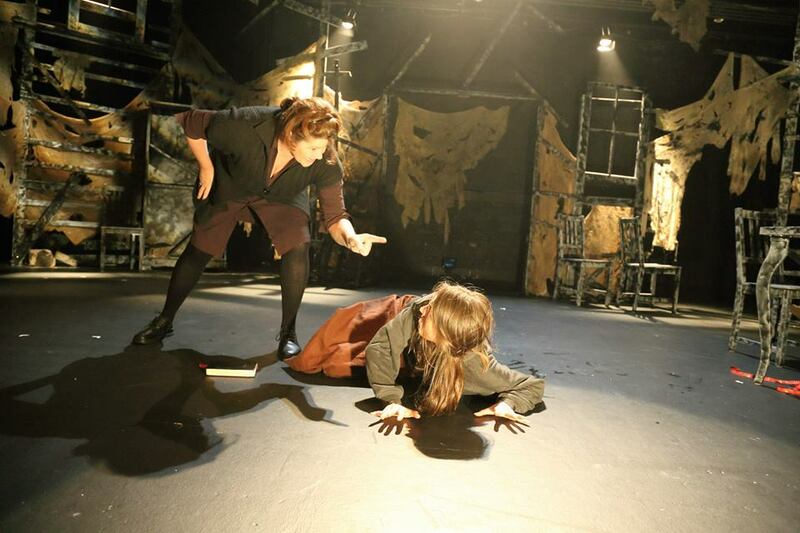 The emotionally damaged Margaret White really is crazy as a bag of snakes, and twice as dangerous, yet de Ferranti finds every nuance in the script to reveal the hurt and pain behind the obsessive religious fervour and cruel parenting style of the woman. Songs “And Eve Was Weak” and “I Remember How Those Boys Could Dance” are in very sure hands here, especially given de Ferranti’s talent for deftly switching from whisper-soft head voice to earthy chest voice to powerful belt. Cole, a clear star of the future, gives an electrifying, compelling performance as Carrie, expertly conveying her journey from angry outsider and submissive daughter to burgeoning young woman. A role that should be revered as much as Elphaba, Carrie undergoes a gripping arc, and sings power ballads “Carrie” and “Why Not Me” as well as duets such as “Unsuspecting Hearts” (with Miss Gardner). Cole’s slender frame deceptively houses a soaring, powerful singing voice, and her acting is somehow simultaneously both intense and understated, drawing the audience towards her performance as she takes our hearts. 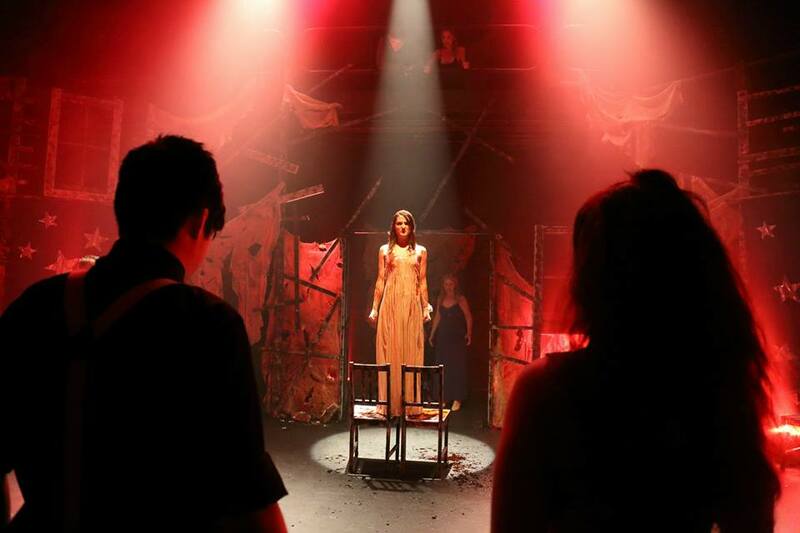 The few remaining tickets for Carrie will surely be snapped up very quickly. A plea to the producers: we would dearly love to see this in Melbourne. 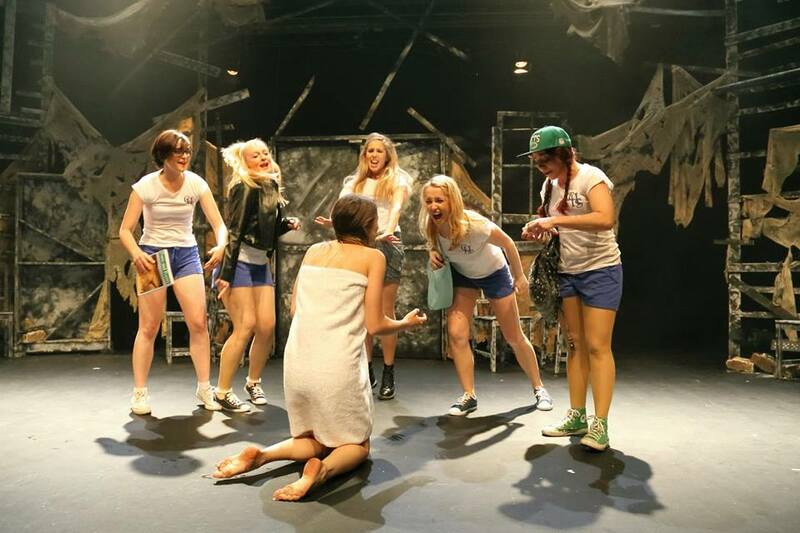 Carrie plays at Reginald Theatre, Seymour Centre, Sydney until 30 November 2013.